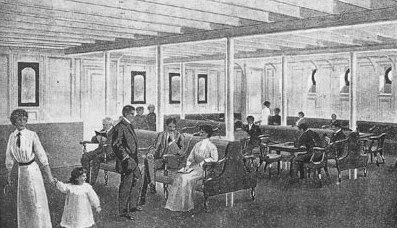 The Third Class General Room was the main public area for the third class passengers. There were other gathering areas, but this room was where they planned most of their public events during the voyage. 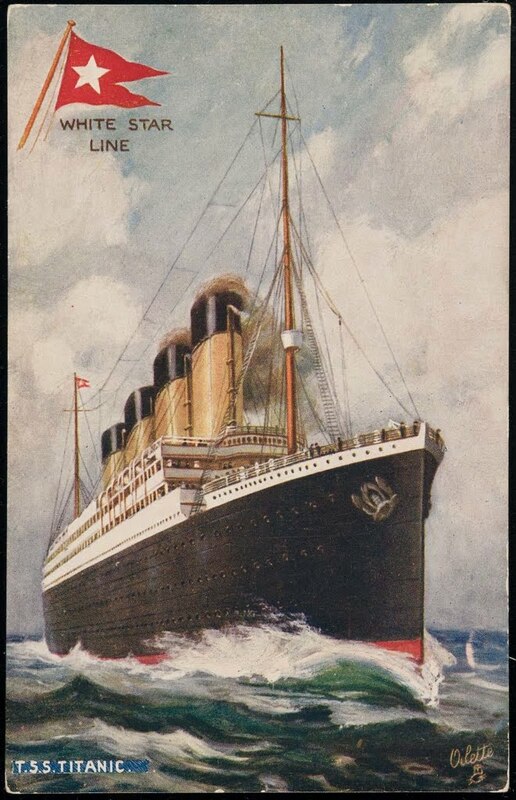 The General Room was located on the starboard side in the stern section of the ship. It was about 36ft x 35ft with painted enamel white paneling on the walls. There were teak wood benches and other furniture around the perimeter of the room, and 2 long rows of benches that spanned the length in the center. This room would have been busy with many languages and nationalities. Within these walls the uncertain world becomes a smaller and friendlier place. No matter where they come from, the third class men, women, and children are united in their journey to America.